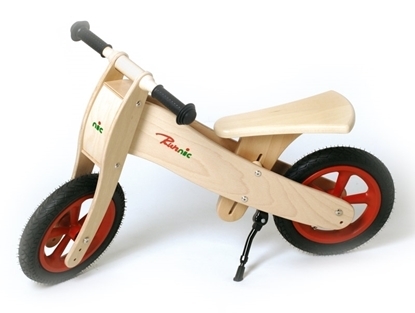 Wooden balance bike, made of solid beech, with adjustable saddle, designed with great care of child safety. Race with each other, try acrobatics, make great treks in the woods or simply go to school with it. Product of exceptional quality. 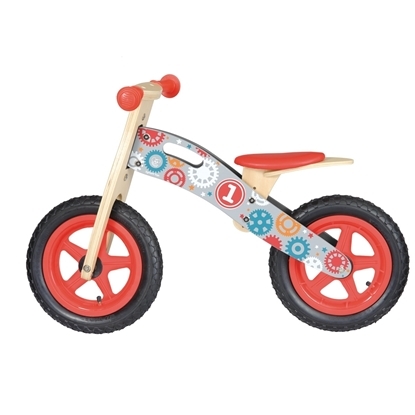 Balance bike number one, with comfortable seat, rubber grips, 3 seat heights, inflatable rubber tires, very easy to assemble, light and easy to transport thanks to the handle. 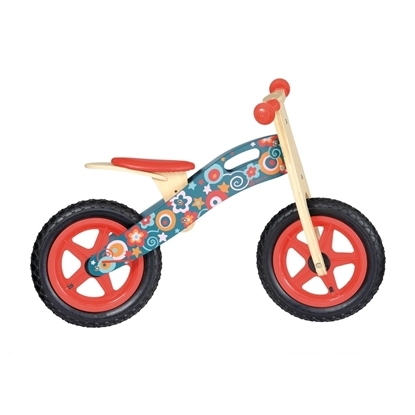 Balance bike with pink flowers, with comfortable seat, rubber grips, 3 seat heights, inflatable rubber tires, very easy to assemble, light and easy to transport thanks to the handle.